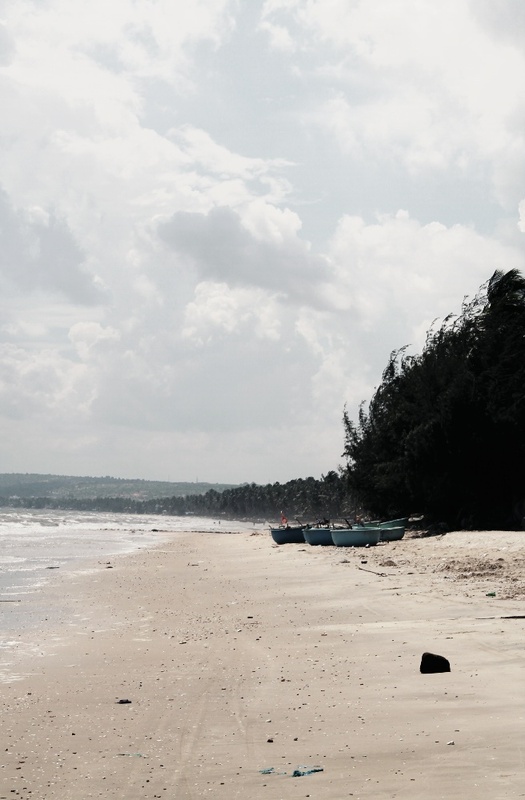 From Saigon we caught a bus to Mui He a small coastal beach town about 5hrs drive away. 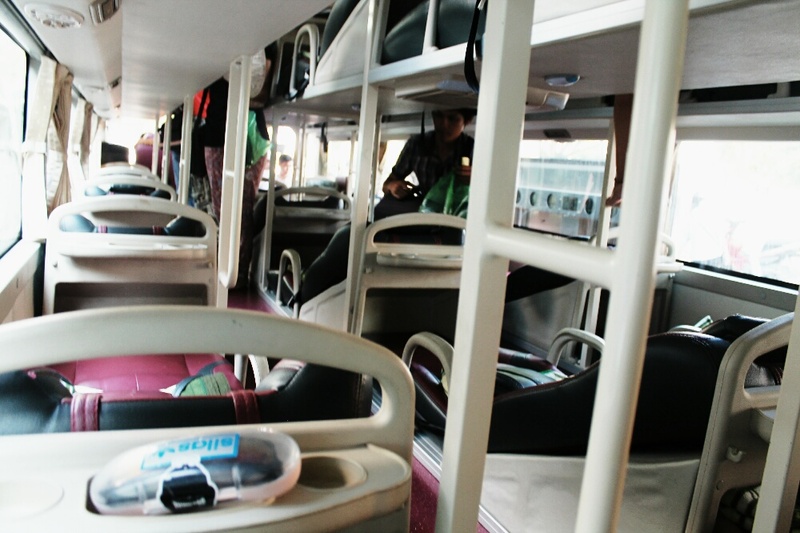 This bus journey was unlike any other, it seems Vietnam have nailed bus traveling…Why? The seats are horizontal! Known as sleeper buses, most private bus journeys are like flying first class. You can stretch your legs out, cover up with a blanket and catch some Z’s with ease. These buses are a million miles from the bus journeys in Cambodia. We arrived late afternoon and pretty well rested. 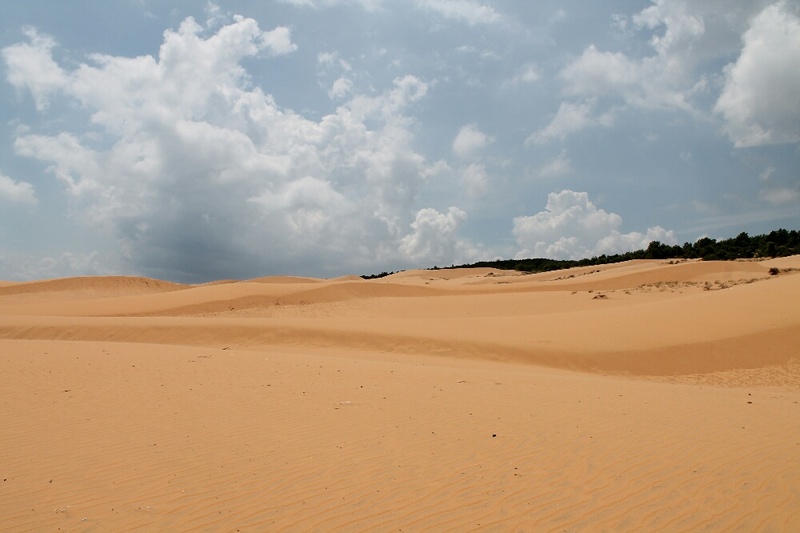 Mui Ne is a basically one road stretching 5-6km. Along the road are many bars, cafes and restaurants. We only had one full day here as it acted as a break because from here the journey to Hoi An was still another 17hrs. There isn’t a great deal of things to do here but what it does offer is a chance to chill out, relax and sup some $0.50 beers. 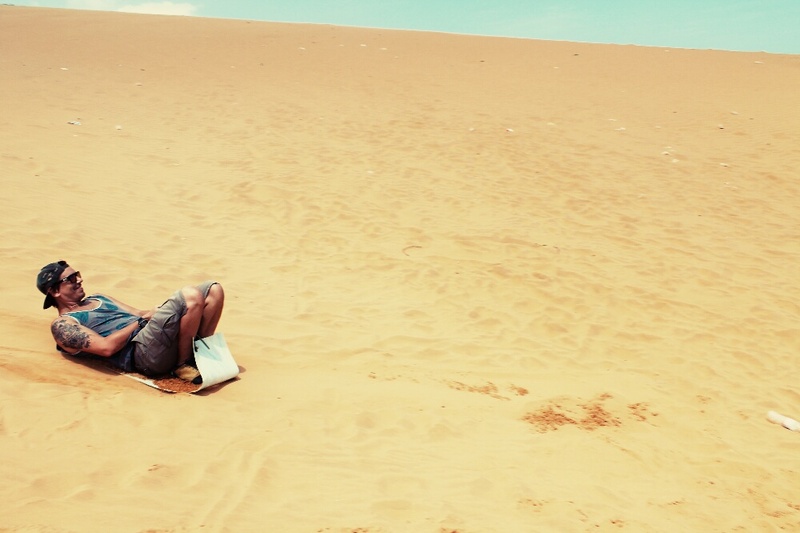 On our one full day we hired a moped and cruised to the red sand dunes. We had heard you could sled down them, which sounded like fun. When we found them, a few children ran over offering their sleds for a price. The sun was beating down hard so we decided we would only have a few goes because walking up and down dunes in the red hot sun sounded a little strenuous. Watching Katie negotiate with an 8 year old was pretty funny,. Theses are no normal children, they have been negotiating probably before they learnt to walk. 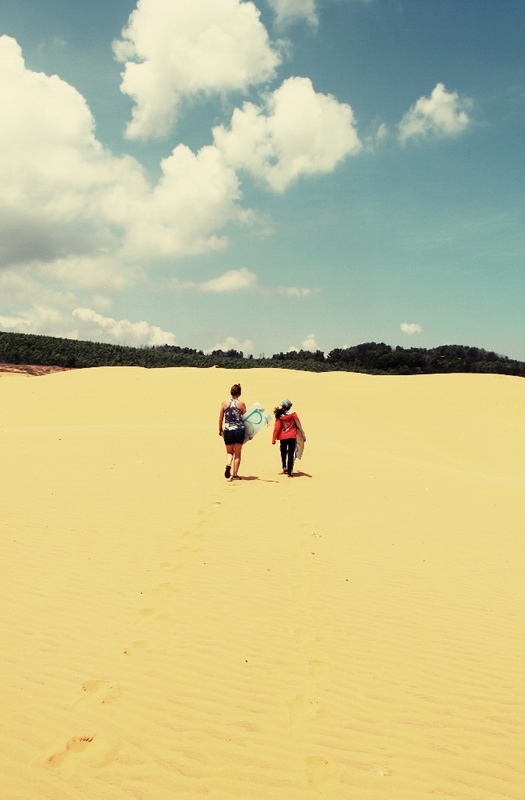 We agreed on a figure and the girl led us to the spot, she waxed up the plastic sleds and we were ready to surf the sand dunes… Katie went first and the girl gave here a good running push. She slid down at a fair pace. Then I had my go and yeah it was fun. You don’t go 100mph or anything but it’s hard not to smile and laugh as you are sliding down. We both had one other go, this time not so successful. Maybe the wax had worn away but for some reason this made us laugh even more as we nudged down the slope. We headed back into town and stopped off at the beach and looked for the Fairy Spring which was marked on the tourist map. We finally found it, but it was more like someone had left a tap on. 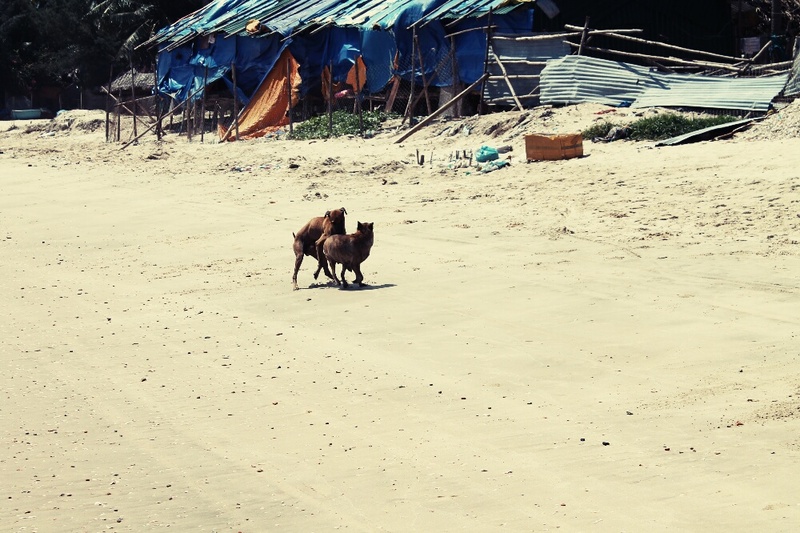 We watched the water trickle to the beach and I didn’t even bother taking a photo; 2 dogs just down the beach were putting on a better show. Later we sat at bars drank some beers, ate at Phat’s Burger joint, which if you are a burger lover is probably the best burger in Mui Ne, not Vietnam as stated. We were then preparing ourselves for the 17hr bus journey the following day. 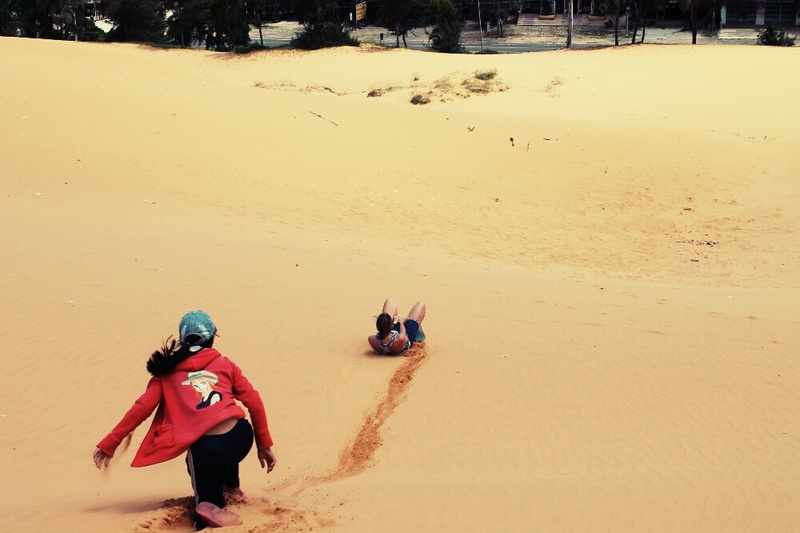 Posted on September 28, 2014 September 28, 2014 by themussmarter	This entry was posted in General MussMart News, Vietnam and tagged backpacking, Mui ne, MussMarter, overnight bus, red sand dunes, SE Asia, sledding, traveling, travelling, Vietnam. Bookmark the permalink.